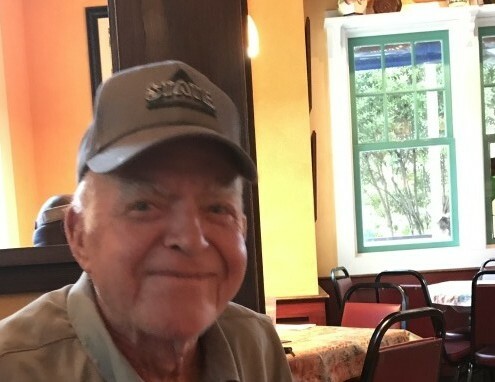 DREW - William Hugh Burchfield, age 81, of Drew, MS, passed away on Monday, March 18, 2019, at the Baptist Hospital in Southaven, MS.
Visitation will be held Wednesday, March 20, 2019, from 12:00 PM until 2:00 PM at Cleveland Funeral Home in Cleveland. Funeral Services will follow at 2:00 PM in the Cleveland Funeral Home Chapel. Burial will follow in the Drew Cemetery. Rev. Rick Milan and Toby Burchfield will officiate the services. Mr. Burchfield was born on May 26, 1937, to Elmer and Margaret (Garner) Burchfield in Drew, MS. Mr. Burchfield was a lifetime resident of Drew, MS. He attended Drew High School. Mr. Burchfield was a member of the Army National Guard where he obtained the rank of Captain. He married Nellie Jo Haynes on October 19, 1959. Mr. Burchfield attended West Drew Baptist Church. He was a farm manager for Parker Enterprises at Long Lake Farms until 1981. He then went to work at Duo-Fast Corporation in 1981 where he was a forklift technician. Mr. Burchfield retired at the age of 63 at which time he went to work for Williams Equipment and Supply for 10 years. Mr. Burchfield loved to fish and hunt and be around his many friends and family. Mr. Burchfield was preceded in death by his parents Elmer Hugh Burchfield and Margaret Garner Burchfield and his brothers Paul Burchfield and Clarence Burchfield. Mr. Burchfield is survived by his wife of 59 years Nellie Jo Burchfield of Drew, MS; 7 children, Tony Burchfield of Senatobia, MS, Tina Ramirez of Flowood, MS, Tammy Couey of Drew, MS, Terry Burchfield of Brandon, MS Tonya Steed of Senatobia, MS, Toby Burchfield of Brandon, MS, Gary Burchfield of Vicksburg, MS; 4 Sisters, Silvia Haynes, Margaret Jewel Wilson, Carol Williams and Debbi Stokes; 2 Brothers, Jimmy Burchfield and Floyd Burchfield. He also leaves behind 16 grandchildren and 5 great-grandchildren as well as numerous nieces and nephews. Pallbearers will be Chad Swinford, Randy Haynes, Ricky Woods, Berry Haynes, Bennie Haynes, and Timmy Haynes. Cleveland Funeral Home is in charge of arrangements. Online guest register may be viewed and signed at www.clevelandfuneralhome.net.